Enjoy a quintessentially British experience at one of Scotland’s Most Stylish Hotel’s. 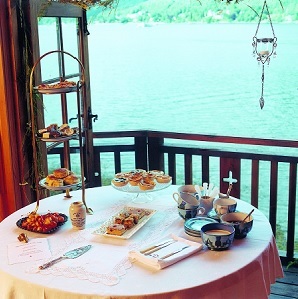 Traditional afternoon tea for two in our Victorian Conservatory with stunning views over the Loch and mountains. 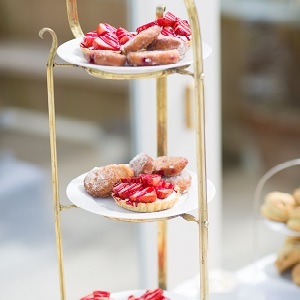 Choose from a selection of loose leaf teas, scrumptious finely cut sandwiches with traditional fillings, a selection of cakes, pastries and warm baked scones with clotted cream and homemade strawberry jam. Enjoy a quintessentially British experience at one of Scotland’s Most Stylish Hotels. 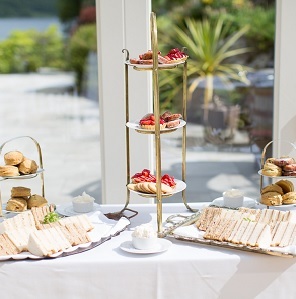 Champagne afternoon tea for two in our Victorian Conservatory with stunning views over the Loch and mountains. 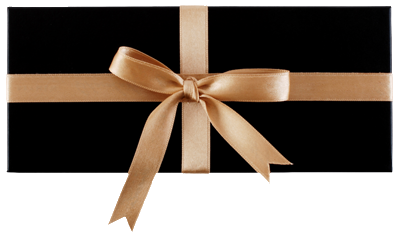 This special afternoon tea for two is perfect for any celebration and includes a glass of Veuve Clicquot champagne. In the stunning surroundings of Scotland’s most famous treehouse we invite you to relax and unwind in one of the most breath taking venues with amazing views of the Loch and mountains. Allow us to pamper you with Scotland’s finest afternoon tea experience. Choose from a selection of loose leaf teas, scrumptious finely cut sandwiches with traditional fillings, a selection of cakes, pastries and warm baked scones with clotted cream and homemade strawberry jam. 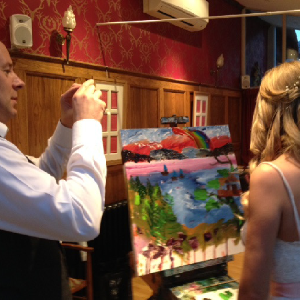 As part of our traditional afternoon tea, we are offering you an experience with a difference, guided by two of Cowal’s international artists and teachers, Don McNeil DA & Jean Bell’ they will help you create a wonderful painting of our famous treehouse, then take the canvas home and remember your amazing afternoon. For two persons.